​No, it’s not just Judy! Gay men love not only the MGM film but other stories set in Oz—the original books, more recent books with Oz themes and settings, and stage and screen productions like The Wiz. In Friends of Dorothy, based on interviews with more than one hundred gay Oz fans, Dee Michel explains the enduring appeal of Oz for gay men and boys. Interviewees include Gregory Maguire (Wicked), Robert Sabuda (the pop-up Wizard of Oz), and William Mann (Kate: The Woman Who Was Hepburn). The appeal of Oz for gay fans such as Clive Barker, Gore Vidal, and Greg Louganis is analyzed as well. The book also tackles the taboo topic of gay boys, examining their feelings about escaping to Oz, the characters they identify with, and the psychological and spiritual uses they make of stories set in Oz. 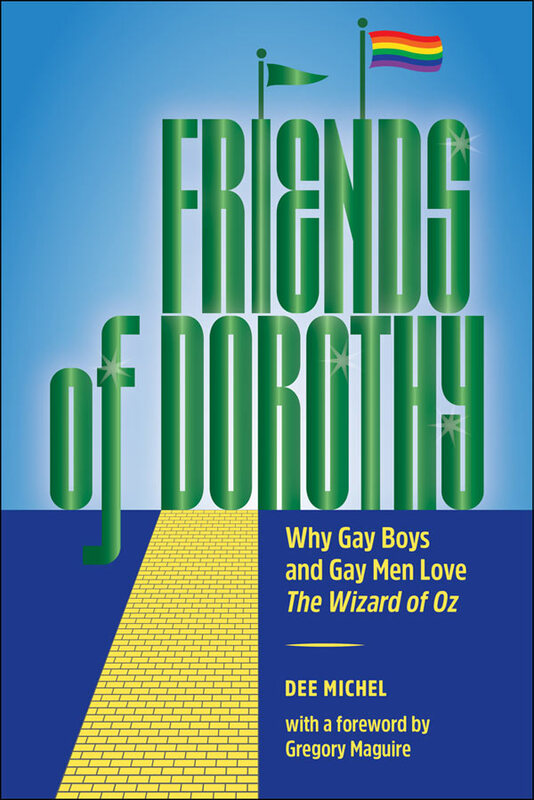 The many voices in Friends of Dorothy, along with extensive research and analysis, provide a richly layered look at the allure of Oz, with insights into gay culture, gay psychology, and gay folklore.